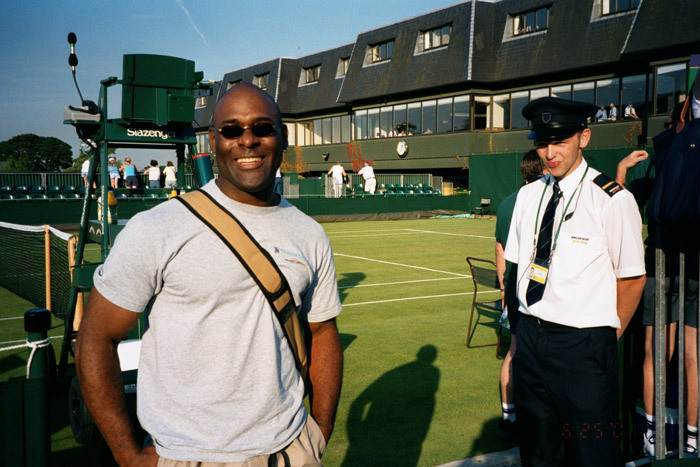 My name is Kevin, and my first memories of tennis were of watching Arthur Ashe win Wimbledon back in 1975. I was in 5th grade and I knew two things from that point onward. The first was that I absolutely had to visit Wimbledon, the second was that I wanted to play this game. And now having done both my life is still far from complete when it comes to tennis. I want to continue seeing as much of it as I can, playing as much as my body will allow, and engage lively discussion/debate about all aspects of the game with friends. Welcome to my first official steps in the direction of the last one. This blog is the first step towards a hopeful transition to doing more of the thing I love as maybe part of a career change. Who knows. We’ll see. For now it’s just all about putting it out there and enjoying the conversation. I play on a USTA adult league team as a 4.0, though there are some days when I feel like a 3.0. I’m pursuing certification as a USTA official. I play with Head Youtek Speed MP 315 racquets (18×20), and feel like they’re great racquets to help me in terms of control. They are also pretty forgiving, which is good in terms of my technique AND my body. I string my racquets with a hybrid stringing of Wilson NXT 16g in the crosses and Wilson Stamina 17g in the mains, at 53lb. Yes, they are the same racquets that Novak Djokovic uses. I often find myself grunting like him on some of my ground strokes! 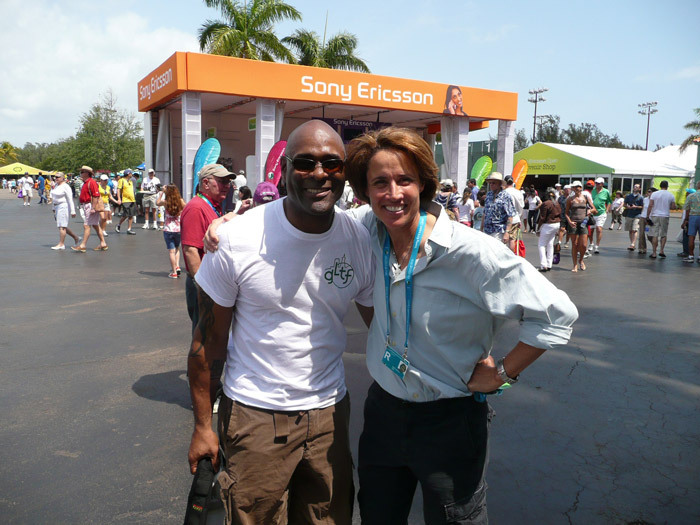 Tournaments I have been to include Wimbledon, the SAP Open, the Bank of the West, and the Sony Ericsson Open. My favorite current male players to watch are Djokovic, Federer, Murray, Nadal, Federer, Ferrer and Del Potro. My favorite current female players are Serena Williams, Radwanska, Schiavone and Bartoli.